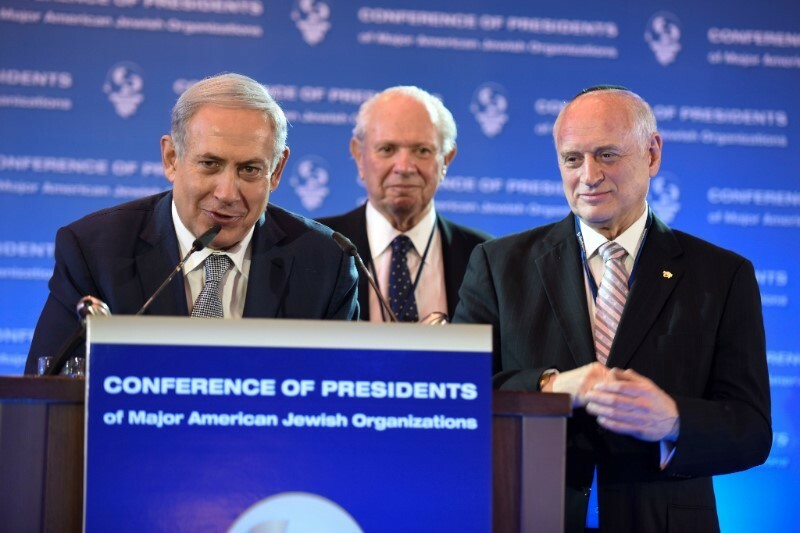 Jerusalem, Feb. 14, 2016...The Conference of Presidents of Major American Jewish Organizations convened its 42nd consecutive annual Leadership Mission to Israel today with a delegation of more than 100 leaders from the Conference’s 53 member organizations, the largest group ever. Netanyahu identified two parallel contradictory trends worldwide: an ongoing multinational hostility toward Israel at the UN, ICC, and EU together with what he termed an “obsession” with Israel in international forums. While at the same time, countries like China, India, Russia and Japan are coming to Israel because of their concern with militant Islam and the terrorism it produces and to benefit from Israeli operational experience and intelligence in fighting terror as well as Israeli technologies, such as cyber security, improved water management and desalination, agriculture and biotechnology. This perception was shared by Conference of Presidents Chairman Stephen M. Greenberg and Executive Vice Chairman/CEO Malcolm Hoenlein who positively described their meetings with President Erdogan of Turkey and President Sissi of Egypt in recent days. Major General (Ret.) Amos Yadlin also briefed the group on Israel’s current geopolitical situation. He highlighted the fact that “countries we studied as children don’t exist anymore, they have disintegrated.” Yadlin noted that five years into the “Arab Spring,” we expect to see more of the same in the coming five years as the “Middle East is in havoc and will continue to be so.” On Iran, Yadlin said “the agreement is problematic, but not a holocaust.” He said there is no threat of a nuclear bomb in the near future, but in the long term, we understand that the Iranians will have a nuclear program. Furthermore, he said that unlike elsewhere in the world, ISIS is not the main threat to Israel, Iran and its proxies, particularly Hezbollah, are.